This is my new foxy friend, miss Foxy, crocheted by me. 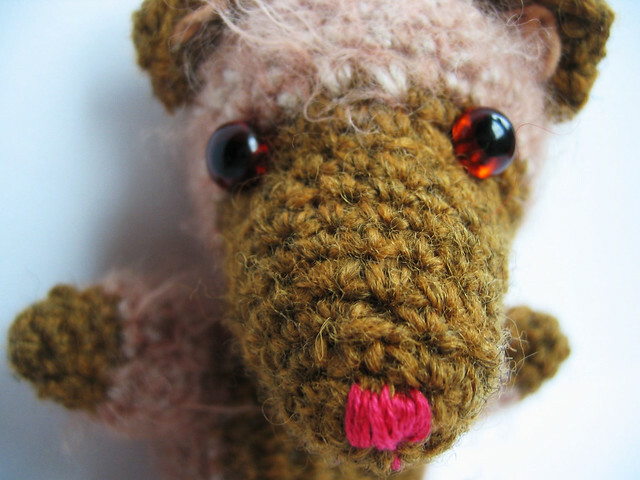 Miss Foxy is inspired nose-wise by Camilla Engman’s beautiful crocheted creatures but also by Melissa’s rich and various amigurumis, two very professional girls! Miss Foxy is her very own, with a foxy tail and a pinkish nose sniffing for friends in the world. Crocheting is such a nice hobby in front of the TV, when the dark nights comes earlier and earlier. This morning it was -6 degrees (21.2 F) when I went to school. Brr! 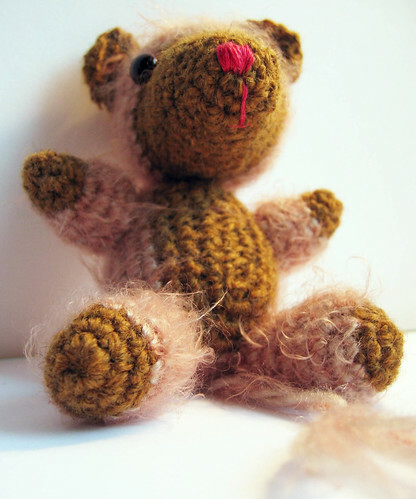 This entry was posted in Crafts and tagged amigurumi, crochet, softies. Bookmark the permalink. I like it’s fuzzy yarn hair! Oh, miss Foxy is just adorable. I am so jealous of your ability to crochet. I have to learn, I really do. Miss Foxy is such a cutie!! Sicken s?t nalle du har virkat! Min fransos har inte f?tt n?n nos ?nnu, jag m?ste sk?rpa mej… men jag har i alla fall decouperat en ny bricka med j?tte s?ta nallar! Och ja! Jag f?r flytta in i l?genheten. Tjoho s?ger jag! She is so wonderful and fuzzy! Really cute and well proportioned!